The Abicana webstore - jewelry and watches - especially adorns with rubys, sapphires, quartz, agates, amethysts, also information about corundum and quartz gemstones. Welcome to this online store where you can find quality jewelry, watches and fashion for an affordable prize. Pleace click on the banners to learn more or buy. Further down on this page there is some information about the corundum, and quarts groups of gemstones, including the stones rubys, saphires, agates and opals. Just Queen Crystal Golden Ring is part of the Just Cavalli collection is a new take on a vintage motif utilizing the mythological snake symbolizing royalty and desire which this set has in spades. Featuring gold tone serpent with etched scales and crystal eye coiled around the shank and shoulder of the ring cradling a brilliant aquamarine colored crystal. Signature box included. A general store with a lot of jewelry and apparel for women and men, and a great inventory of watches for very law prices. Here are examples of the many pieces of jewelry art you can find. Citrine Quartz and Red Sapphires 18K Rose Gold Pendant Necklace is vintage inspired with a special joyful radiance that will make you positively shine day or evening. Featuring 1.60 ct center stone in a four prong setting with cluster of three sapphires atop the pendant delicately suspended on a rolo chain with lobster clasp. Signature box included. Made in Italy. 18K gold agate Cornelian cameo ring by Del Gatto using age-old artisan techniques to sculpt the image on Cornelian shell featuring woman's face in profile. Made in Naples Italy. Signature box included. 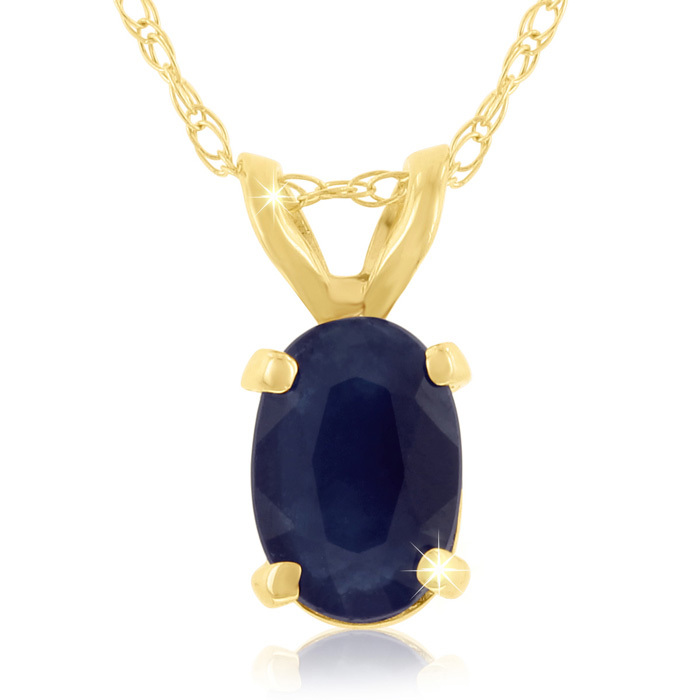 .60ct oval sapphire pendant crafted in 14k yellow gold. Comes with an 18 inch chain. 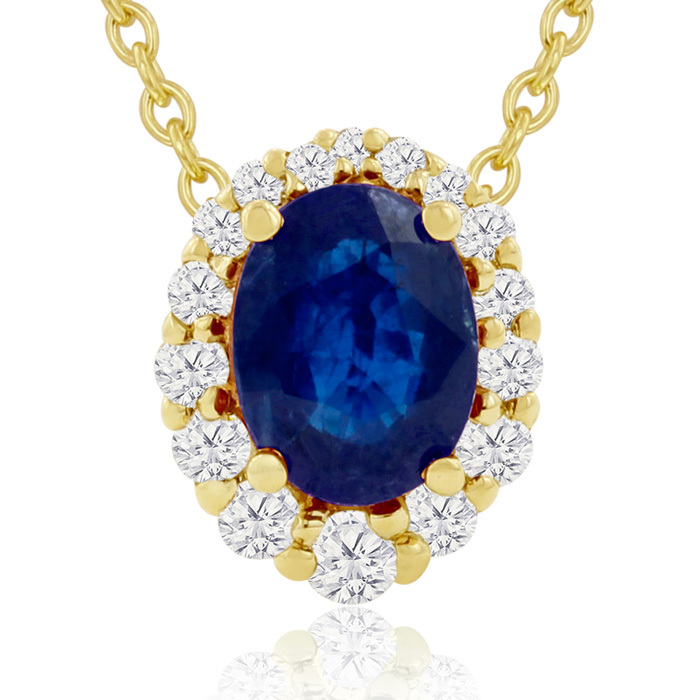 Our highest quality sapphire and diamonds are set into a very fine 14 karat yellow gold mounting, creating a necklace. This sapphire and diamond necklace is the type of jewelry that gets passed down from generation to generation. The diamonds are H-I color and SI2 clarity. The sapphire is fine quality deep navy blue. 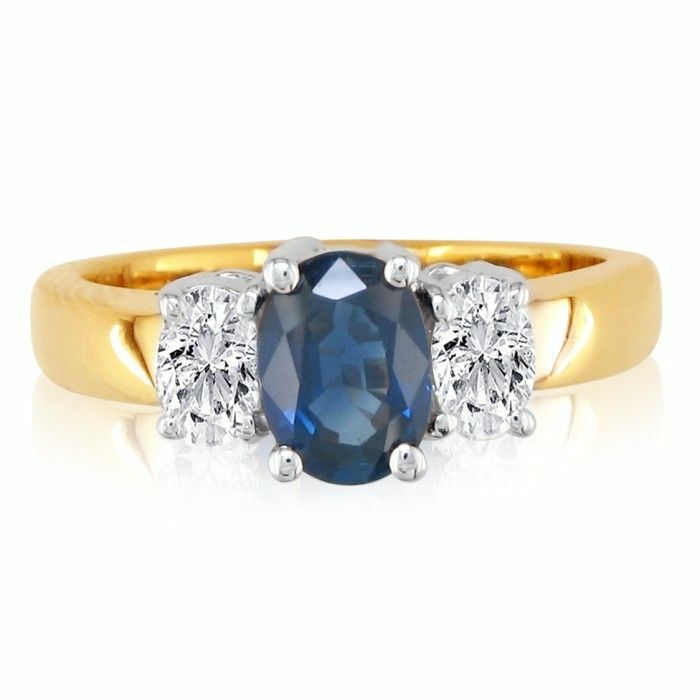 Very High Quality 14 Karat Yellow Gold 1 Carat Sapphire and 1/2ct Oval Diamond Ring. Traditionally Styled And Extremely Well-Crafted. 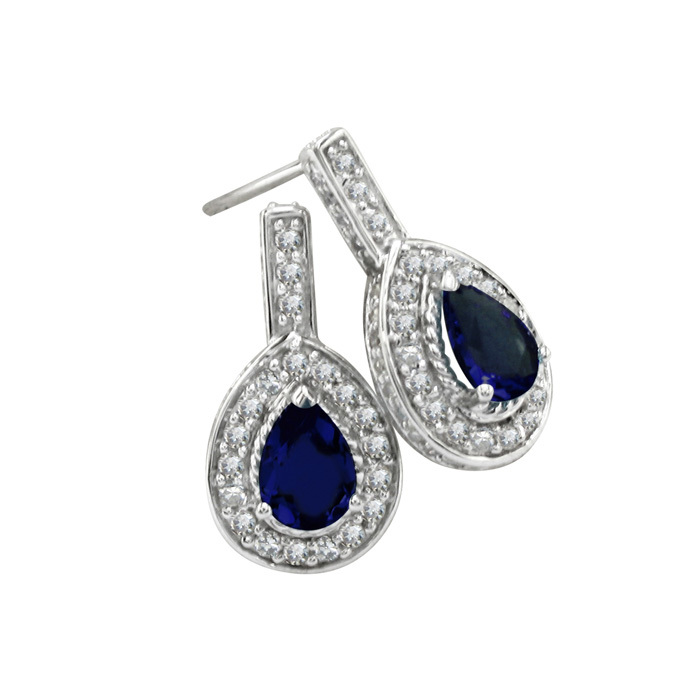 14 karat white gold, 2.75 carat total gem weight sapphire and diamond earrings. Diamond content is carat in G/H color and SI3 clarity. 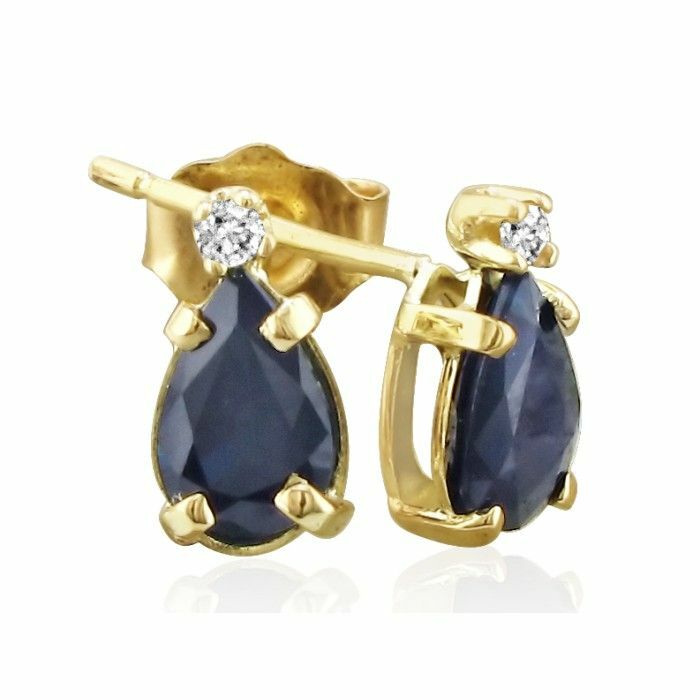 2ct pear sapphire and diamond earrings crafted in 14 karat yellow gold. 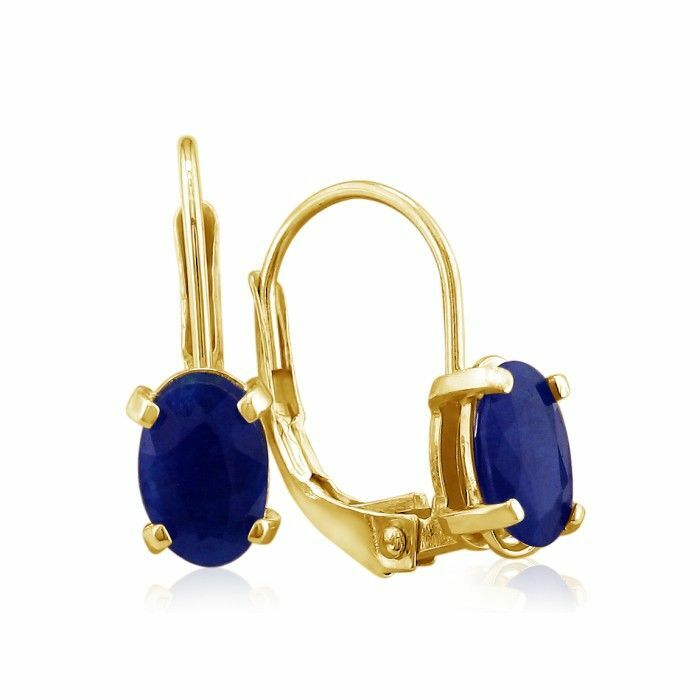 Precisely crafted 14 karat yellow gold leverback earrings featuring deep blue oval sapphires. 1 1/4ct total weight. This bracelet is a classic! 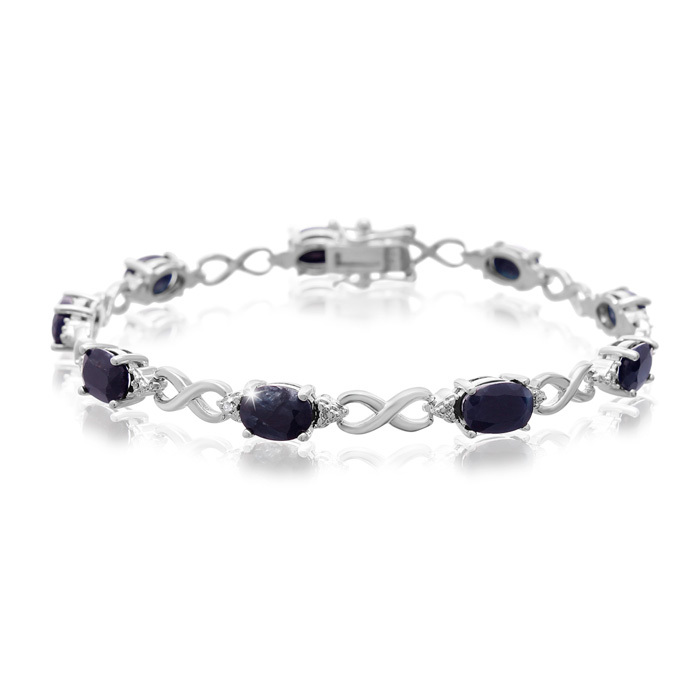 This bracelet contains 9 7x5mm oval sapphire gemstones. Each stone weighs 1 carats for a total weight of 9 carats. The sapphire gemstones are accented by sparkling diamonds in J-K color, I3 clarity at 0.01 carats. Total gem weight is 9.01 carats. Bracelet is 5mm wide. This bracelet is 7 inches long and has a secure, box with tongue clasp. Bracelet is crafted in platinum-plated brass. Polished 9-karat white gold (17 gr) Drama Masks ring with opal (1946 ct) in a cabochon setting. 146 diamonds (133 ct) encrust the comedy and tragedy masks flanking the stage set by the opal. Other sizes are available upon request. Part of the Fleurs Du Mal collection. Hand made in Italy. EDWARD FT0377 28W by Tom Ford feature a classically cool vibe square style aviator light metal frame with opal honey acetate accent on top bar opal honey acetate front and ear piece on temple with metal 'T' logo inserts and gradient 100% UV protection lenses with logo detail. Made in Italy. Inspired by the swinging 60s Hafize Ozbudak's cut-out dress hugs all the right curves. With a gorgeous sheen meticulously hand sewn opal-color crystal detailing and its flattering shape and mid-thigh length you will be rocking every party in one-of-a-kind style. Handmade in Italy. Here are examples of the many watches you can find. Minerals in the quarts group are perhaps the most abundant minerals on earth. The great mountains on earth are partly made up of quarts. These minerals have a simple chemical composition. They consist chemically of silicone and oxygen atoms bounded together in a crystal or glass matrix, and have the chemical formula SiO2. Even though quarts minerals are very common and cheap, good specimens of quarts minerals are very fine gemstones. Ordinary white corny quarts: This is the most abundent form of quarts, and is most often simply called quarts. It consists of colourless small crystals lumped firmly togeather forming big white, corny, transcucent specimens. Ordinary quarts may look like marble, and is often mistaken for marble. Corny quarts with other colors: Corny masses of quarts can show many colors. Brown variants are often called smoke quartz. Variants with reddish color is usually called rose quartz. These variants are like the white quartz not transparent, but only translucent. Aventurine: This is a noble rock art mostly composed of corny quartz. There are also small flat grains of other minerals with a metallic shimmer, for example the crom-compound fuchsite, giving the whole stone a metallic green or blue shine. The basic color of aventurine is most often green, but it can also be orange, brown, yellow or gray. Quartz crystals with other colors: Big quartz crystals can show any color. Those with brown color are usually called smoke quartz, and those with reddish color rose quartz, just like the colored corny quartz masses. Calcedon: A specimen of calcedon consists of a myriad of microscopic crystals. Calcedon is translucent and have a uniform greyish or grey-blue color and show a calm silky luster. Calcedon grows inside cavities by gradual crystallization from a watery solution. The center of the specimen is often still hollow, and the innermost layer often consists of rock crystal. Agate: An agate specimen consists as calcedon of microscopic crystals, and is therefore not transparent, but is to some extend translucent. The specimen has concentric colour bands deposited one at the outside of the other. Agates have been formed in cavities in rocks, and the bands of the agate has been gradually cystalized onto the walls of the cavity from water in the cavy. The colour bands can be brown, red, blue, grey, orange and any blending of these colours. Onyx: An onyx specimen also consists of microscopic crystals and is only to some extend translucent. An onyx has coloured layers stacked upon the top of each other, but the layers lay more regularly and parallelly than in ordinary agate, and there tend to be only few layers. All the layers together often bow in a wavelike fashion. Most colors can occur in onyx, except blue or purple. Black or white layers are common. An onyx specimen have been formed by crystallisation from water solutions in rock cavities, like the agate. Jewelers often cut out pieces with specific colors and use these as gemstones, especially in rings for men. In the jewelry trade the name "onyx" is most often used about Such pieces in black or other specific colors. The term "onyx" is also used about marble-related rock types, which are not quartz-related, with the same pattern of stacked multicolored layers. This material which often shows shades of green is commonly used in artworks. Opale: Opal is not crystalline, but has a glassy structure. The glass have small water drops blended into its structure, and this water causes interference and light breaking, making the opale show up a lot of colours that vary according to the angle of light falling into the stone. Minerals in the corundum group has a very simple chemical compositionm, being an oxyde of aluminium, with the formula Al2O3. Corundum is found as barrel-formed crystals. Corundum is the second hardest mineral on earth, having a hardness grade of 9. Corundum and corundum genmstones can be made syntetically by melting aluminium in a flame of burning oxygen-hyrogen with a surplus of oxygen. Corund that do not have gemstone quality is widely used as abrasives and polishing tools. Ruby (rubine, rubin ): Red corundum is called ruby, and is considered the most valuable corundum gemstone. The colour may vary from deep red, often found in rubys from Thailand and Burma to lighter red often found in rubys from Sri lanka. Rubys red as blood from a pidgeon are often considered the most valuable. Big rubys of good colour quality and without macroscopic inclusions are very rare, and these may get nearly the same prize as diamonds of the same size. The red colour of a ruby originates from disolved chrome. Blue Saphire: Corund of blue colour is called saphire. Blue saphire is mostly called only "saphire" The blue colour originates from small amounts of iron and titanium. Saphire of other colours: Green, yellow, clear or orange corund of gemstone quality is also called saphire. Ruby is a red gemstone that varies from a light pink to a blood red, a variety of the mineral corundum (aluminium oxide). The color is caused mainly by chromium. Its name comes from ruber, Latin for red. Other varieties of gem-quality corundum are called sapphires. It is considered one of the four precious stones, together with the sapphire, the emerald and the diamond. Rubies are mined in Africa, Asia, Australia, Greenland, Madagascar and North Carolina. They are most often found in Myanmar (Burma), Sri Lanka, Kenya, Madagascar, and Cambodia, but they have also been found in the U.S. states of Montana, North Carolina and South Carolina. The Mogok Valley in Upper Myanmar has produced some of the finest rubies but, in recent years, very few good rubies have been found there. The unique color in Myanmar (Burmese) rubies is described as "pigeon’s blood". They are known in the trade as “Mogok” rubies. In central Myanmar the area of Mong Hsu also produces rubies. The latest ruby deposit to be found in Myanmar is situated in Nam Ya. In 2002 rubies were found in the Waseges River area of Kenya. Sometimes spinels are found along with rubies in the same rocks and are mistaken for rubies. However, fine red spinels may approach the average ruby in value. Rubies have a hardness of 9.0 on the Mohs scale of mineral hardness. Among the natural gems only diamond is harder (Mohs 10.0 by definition). All natural rubies have imperfections in them, including color impurities and inclusions of rutile needles known as "silk". Gemologists use these needle inclusions found in natural rubies to distinguish them from synthetics, stimulants, or substitutes. Usually the rough stone is heated before cutting. Almost all rubies today are treated in some form (of which heat treatment is the most common practice), and rubies which are completely untreated and still of excellent quality command a large premium. In general we can list the following types of improvements: color alteration, improving transparency by dissolving rutile inclusions, healing of fractures (cracks) or even completely filling them. See Treatments below. The mineraloid opal is amorphous SiO2·nH2O, hydrated silicon dioxide, the water content sometimes being as high as 20% but is usually between three and ten percent. Opal ranges from clear through white, gray, red, yellow, green, shore, blue, magenta, brown, and black. Of these hues, red and black are the most rare and dear, whereas white and green are the most common; these are a function of growth size into the red and infrared wavelengths—see precious opal. Common opal is truly amorphous, but precious opal does have a structural element. The word opal comes from the Latin opalus, by Greek òpalliòs, by Sanskrit upálá[s] for "stone", originally a millstone with upárá[s] for slab. (see Upal). Opals are also Australia's national gemstone. Precious opal shows a variable interplay of internal colors and does have an internal structure. At the micro scale precious opal is composed of silica spheres some 150 to 300 nm in diameter in a hexagonal or cubic closed-packed lattice. These ordered silica spheres produce the internal colors by causing the interference and diffraction of light passing through the microstructure of opal (Klein and Hurlbut, 1985, p. 444). It is the regularity of the sizes of the spheres, and of the packing of these spheres that determines the quality of precious opal. Where the distance between the regularly packed planes of spheres is approximately half the wavelength of a component of visible light, the light of that wavelength may be subject to diffraction from the grating created by the stacked planes. The spacing between the planes and the orientation of planes with respect to the incident light determines the colors observed. The process can be described by Bragg's Law of diffraction. Visible light of diffracted wavelengths cannot pass through large thicknesses of the opal. This is the basis of the optical band gap in a photonic crystal, of which opal is the best known natural example. Precious opal consists of spheres of silica of fairly regular size, packed into close-packed planes which are stacked together with characteristic dimensions of several hundred nm.In addition, microfractures may be filled with secondary silica and form thin lamellae inside the opal during solidification. The term opalescence is commonly and erroneously used to describe this unique and beautiful phenomenon, which is correctly termed play of color. Contrarily, opalescence is correctly applied to the milky, turbid appearance of common or potch opal. Potch does not show a play of color. The veins of opal displaying the play of color are often quite thin, and this has given rise to unusual methods of preparing the stone as a gem. An opal doublet is a thin layer of colorful material, backed by a black mineral, such as ironstone, basalt or obsidian. The darker backing emphasizes the play of color, and results in a more attractive display than a lighter potch. Given the texture of opals, they can be quite difficult to polish to a reasonable lustre. The triplet cut backs the colored material with a dark backing, and then has a cap of clear quartz (rock crystal) on top, which takes a high polish, and acts as a protective layer for the comparatively delicate opal.